She seems bolder than the front-runners. But what's her track record? Portland mayoral candidate Sarah Iannarone spent Mother's Day on a neglected patch of grass in Lents, helping set up an unauthorized homeless camp on a city-owned lot. Activists felt that Mayor Charlie Hales was too slow to find property for the homeless women—so on May 8, they took over the site. And Iannarone was there to help. Direct action isn't typical behavior for a mayoral candidate. But it goes a long way to explain how Iannarone, a Portland State University program administrator and cafe co-founder, has appeared, seemingly out of nowhere, to fill a void. The 2016 mayoral race was supposed to be a faceoff between two established politicians—Oregon State Treasurer Ted Wheeler and Multnomah County Commissioner Jules Bailey. Instead, Iannarone, a candidate nobody had heard of four months ago, has captured the imagination of some progressive voters. Polls show her chances of nosing past Bailey into second place are slim—but with a large percentage of voters undecided, she may draw away left-wing voters from both of the front-runners. Iannarone's emergence says as much about the two men who were supposed to dominate this race as it does about her. Both Wheeler and Bailey are known quantities—Ivy Leaguers who graduated from Lincoln High School and have been in elected office for the past decade. Iannarone, 43, comes across as a less cautious candidate. She has called for a citywide rent freeze and a car-free downtown, and she supports organized homeless camps like the one in Lents. "Ideally, we'd be deploying them in neighborhoods across the city," she says, "from Eastmoreland to Irvington to Multnomah Village to the West Hills." She can say almost anything, and because she has no track record in public office, there's no way to assess whether she might achieve what she's pitching. As Bernie Sanders and Donald Trump have shown, 2016 voters want to hear bold promises. Iannarone says her lack of political experience doesn't matter because unlike her better-funded and more politically experienced opponents, she understands how Portland works—or doesn't—for citizens. "There's an authenticity to what I bring," she says. "There's something to be said for real-life experience when you're making decisions." Jodi Jacobson-Swartfager, a director of Bike Walk Vote and an Iannarone supporter, says Portlanders want that too. "There are a lot of people in Portland who are hungry for something different," she says. "She has no debts to pay, so she has the flexibility to go out there and put forward these bold ideas." Iannarone was born Sarah Stacy. The child of a Nestlé factory worker and a stay-at-home mom in Fulton, N.Y., she found herself drawn to cooking at a young age. She attended but did not graduate from Johnson & Wales University in Providence, R.I., where she studied baking and pastry arts. She then embarked on a culinary career that took her to numerous cities, including Charleston, S.C., New Orleans and Branson, Mo., where she cooked for country musician Mel Tillis. Iannarone in a 1997 booking photo. She faced hard lessons in her 20s. A bad check for $76.95 in South Carolina turned into an arrest warrant in 1995, when she was 22. Iannarone says she doesn't remember the incident, but court records in Charleston show she repaid the debt and $94 in court costs. 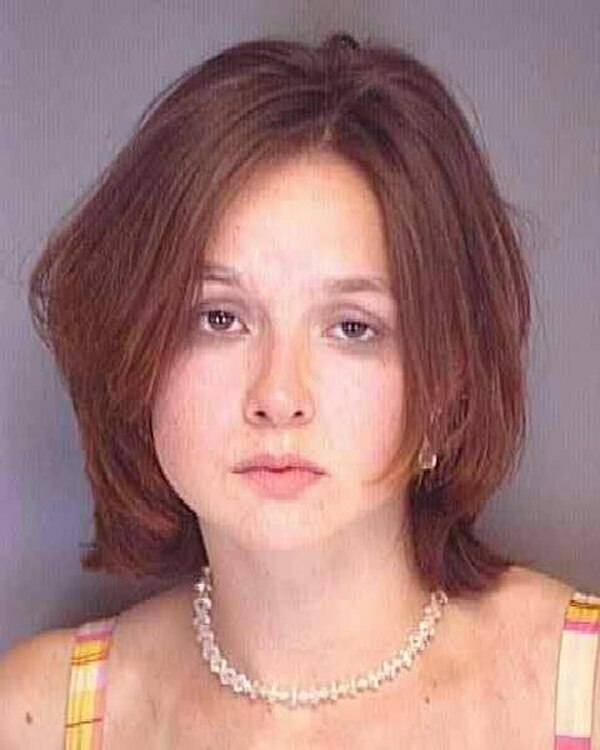 Two years later, in 1997, North Charleston police arrested Iannarone after a fight with her boyfriend, and booked her into a Charleston County jail. "I was a victim of domestic violence, and because of Charleston's zero tolerance, I was taken into custody along with my assailant," Iannarone says, after initially denying any arrest. "If you're a 24-year-old woman getting beat up by a man today, he would go to jail and I would not." A 1997 police report does, in fact, identify Iannarone as a victim, but cites "signs of mutual combat" as the reason for arresting her. She had bite marks on her arm; the boyfriend had a bloody lip. North Charleston police say Iannarone wasn't charged with a crime because her then-partner declined to pursue prosecution. She and a new boyfriend, Nick Iannarone, headed west in 1998, stopping at a Las Vegas chapel to get married. Word of Portland's devotion to public transit lured the couple to Oregon. "I had heard the buses were free, and I thought, 'What kind of place is it?'" she recalls. Iannarone landed at now-defunct Lucy's Table on Northwest 21st Avenue, where she worked as the pastry chef. Then-owner Peter Kost was won over by her self-assured nature. "She displays a confidence, not a cockiness," he says. "She said, 'This is what I'll do,' and I believed her." Among the things she did was push Kost to offer health insurance to his staff, something he did after Iannarone left to care for a newborn. Eighteen months later, Iannarone learned how crucial health insurance was when doctors gave her a diagnosis of thyroid cancer. "It was a pretty traumatic time, worrying if I would be around to raise my kid," she says. When she emerged from the other side of treatment, she started taking classes at Portland Community College, which led her to PSU, where she earned an undergraduate degree in liberal arts in 2005. Around that time, she was walking her dog near Mt. Scott Park near her home and noticed an empty storefront along Southeast 72nd Avenue. "There should be a restaurant there," she recalls thinking. In 2005, she and her husband opened the Arleta Library Bakery & Cafe at the spot, across the street from the Mt. Scott Community Center. Although Iannarone refers to herself as co-owner of the cafe, her name does not appear on the state business registration or any of the paperwork from the Oregon Liquor Control Commission that granted the cafe a beer and wine license. She and her husband separated in 2008 but haven't divorced. She struggled financially after the separation. Iannarone failed to pay Oregon personal income taxes on time in 2010, 2011, 2012 and 2013, resulting in a $4,500 lien, according to The Oregonian. She paid off the lien in February, records show. Around the time the Arleta Cafe opened, Iannarone and other neighbors noticed there were no safe crossings on 72nd near the park. Neighborhood activists took over an empty traffic island at 72nd and Woodstock Boulevard that had once been used as a turning point for a Portland streetcar. They converted it into a traffic-calming oasis and gathering spot. "I don't know too many people who are as energetic as she is," says Meghan Humphreys, a member of the Mt. Scott-Arleta Neighborhood Association, who credits Iannarone with seeing the project through from beginning to end. 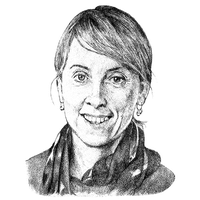 In 2008, Iannarone helped launch the PSU program First Stop Portland, where she works today, helping private funders such as developer Dike Dame create a destination for visiting delegations that want to learn about Portland's sustainable infrastructure. Nancy Hales, wife of Mayor Charlie Hales, is her supervisor at First Stop Portland. Yet Iannarone bristles at the idea that she's a stand-in for the Hales family in the mayor's race. "Charlie Hales did not recruit me," she says, "and if you say otherwise, you're basically calling me a liar." Her experience at First Stop Portland is her most relevant professional experience, yet it is a modest operation with students and a staff of two and an annual budget of $200,000. Iannarone's salary is $50,000. She isn't paid at the cafe. At candidate forums, Iannarone has spoken of the struggles of meeting payroll at the Arleta Cafe and of what she's learned squiring foreign planners around Portland. Wheeler managed thousands of employees as chairman of Multnomah County and oversees a portfolio worth $90 billion at the state treasury. Bailey, a former state lawmaker, wrote major legislation. Iannarone says it's her real-life experience coupled with her international work at PSU that animates her campaign. "My view is global," she says, "but my activity and my heart are at the street level." On Feb. 12, candidates for Portland mayor met at the Union Gospel Mission in Old Town to discuss homelessness. Iannarone had been in the race for three weeks. So when Iannarone declared at the forum, "I believe hands down I have the best working knowledge of this city of anyone at this table," she was met with chuckles. "When she jumped into the race, I wasn't super-interested," says activist Nick Caleb, who earned 19 percent of the vote in his 2014 race against City Commissioner Dan Saltzman. But Iannarone's pitch to voters seemed increasingly appealing, Caleb says, adding that he liked how the candidate linked social justice with urban planning to talk about moving Portland to 100 percent renewable energy. "She's trying to marry those approaches in a way the other candidates can't," he says. A poll released by Oregon Public Broadcasting on May 10 puts Iannarone in fourth place with 2 percent of likely voters, behind perennial candidate Bruce Broussard. The poll, conducted by DHM Research, shows Wheeler holding a comfortable lead with 33 percent of the vote, and Bailey in a distant second with 9 percent. But with a 4.9 percent margin of error and 39 percent of respondents saying they're undecided, the race could break in a number of ways. What seems certain is that Wheeler and Bailey can't discount Iannarone. Carl Abbott, an urban historian and Iannarone's Ph.D. thesis adviser at PSU, says he plans to vote for her, because she's talking about ideas for transforming Portland that Bailey and Wheeler aren't addressing. Iannarone didn't ask his opinion before declaring she'd run. "She told me she was going to do it," Abbott says. "Ted Wheeler has the reputation of being the smartest man in the room. I'm not sure that would be the case if Sarah was in the room." One day after volunteers erected the unauthorized camp for homeless women, Mayor Hales announced it would have to move. The Portland Development Commission planned to sell the parcel. Iannarone was unfazed. She says radical action is the way to get an entrenched City Hall to make real changes. The mayor has pledged to find a new home for the camp. "We need to empower communities," she says, "to solve problems."